Joseph Bailey Jr. loves to ride horses, scuba dive, and kayak. 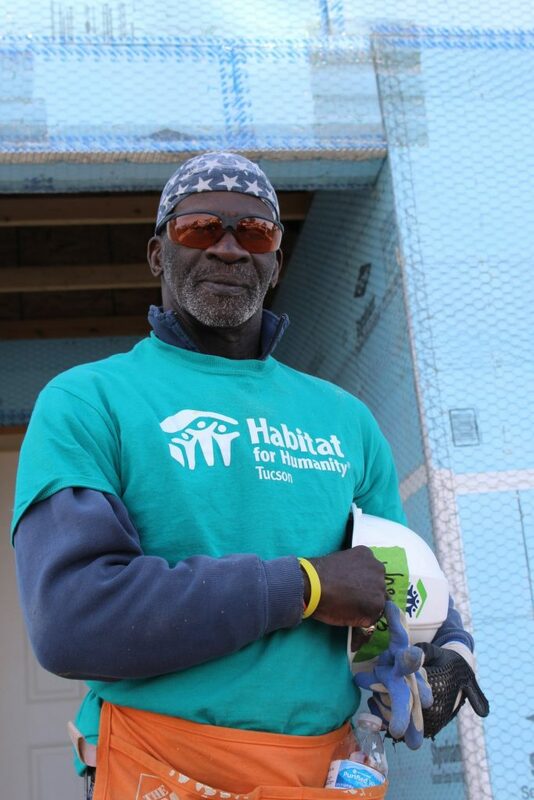 He served in the Navy and can often be found at the Habitat build site, using his strength to build hope for his fellow homebuyers. 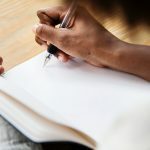 You’d be surprised to find out that he is 66 years old and has quadriplegia. But he continues to see his life as one made for service. 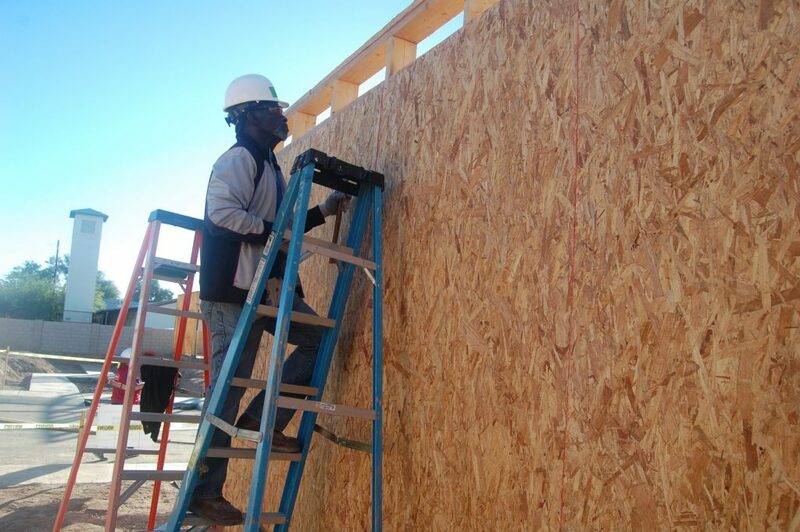 Joseph Bailey Jr. builds strength, stability, and self-reliance for himself and his community. Joseph has a passion for veteran advocacy. He transformed his love of horseback-riding and kayaking into therapeutic opportunities for fellow veterans, through programs like Heroes on the Hudson and Heroes on Horses. On Fridays, Joseph drives around Tucson, picking up homeless veterans and bringing them to his church, Siloam Christian Church, so they can have a hot meal. Veteran Joseph Bailey Jr. has been serving his community all his life. During his service, Joseph started experiencing pain in his neck. Joseph and his fellow Marines were on deck, preparing to leave port, when a line got caught. Joseph hurried to release then line. But when he went with it into the water, the impact to his neck deeply affected the left side of his body. For a time, he couldn’t move his left hand and left leg. Joseph had corrective surgery in 2002. A synthetic disk was inserted in his neck and he now uses a remote-control device on his left leg to help him walk. 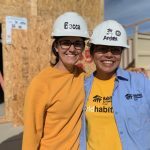 Now he can often be found at the Habitat Tucson build site, hammering away, climbing ladders, and welcoming fellow Habitat homebuyers as they build side by side. Joseph has completed over 250 sweat equity hours and he’s loved every minute of it. He’ll be the first of his generation to own a new home. 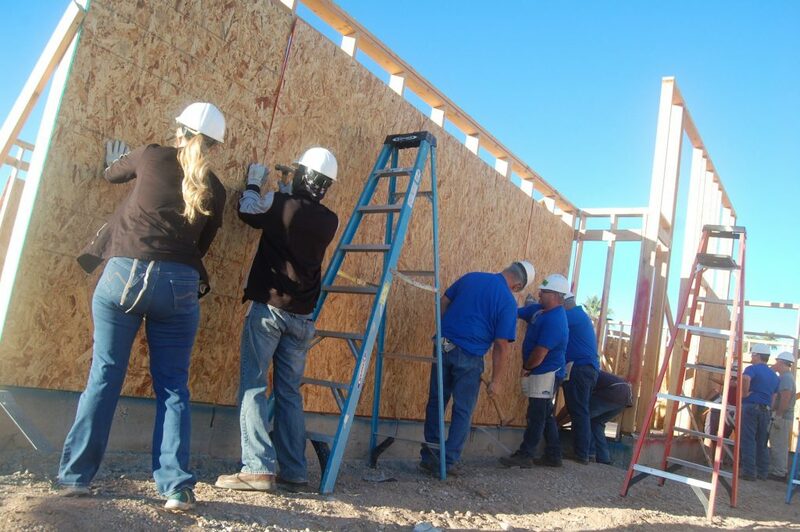 Joseph Bailey Jr. builds alongside fellow Habitat Tucson homebuyer Sherry Tilton. 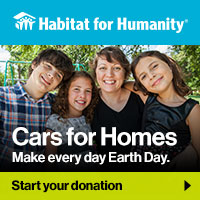 Joseph sees himself volunteering for Habitat until he physically can’t anymore. 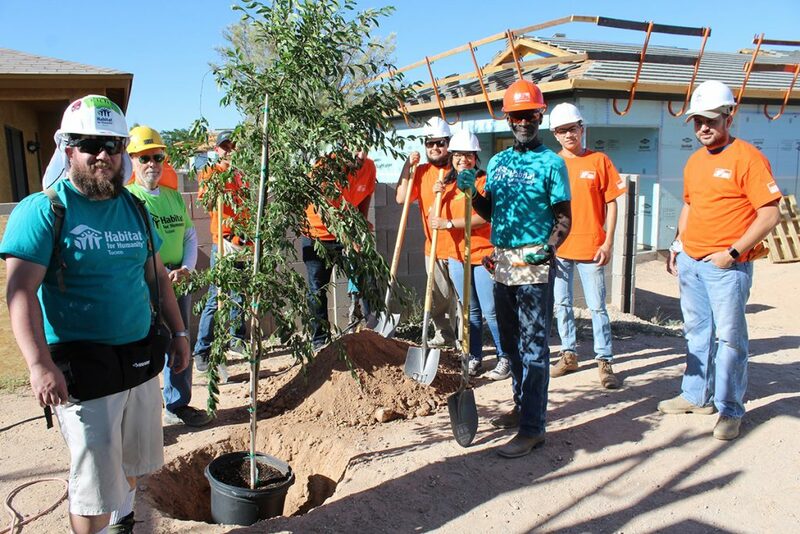 Since he’s devoted his life to one of service, he’s happy to find that Habitat volunteers share the same values. 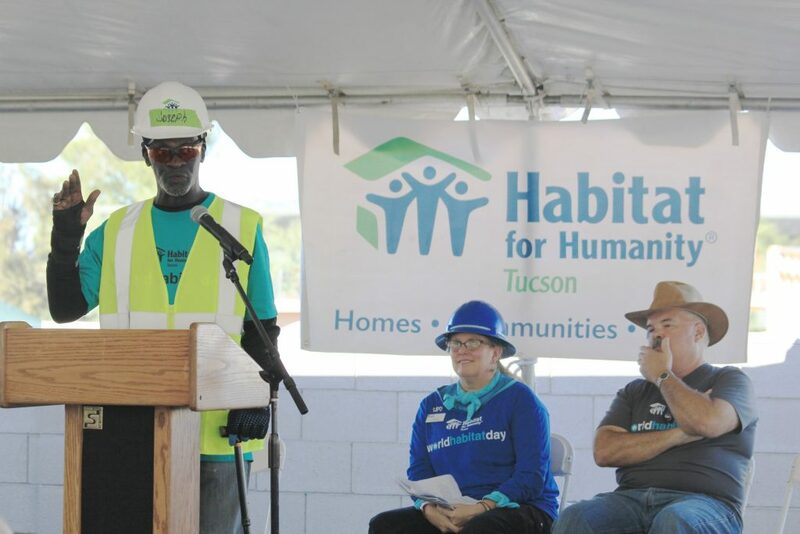 Thank you, Joseph, for building homes, community, & hope here in Tucson!